Lately, it seems like Mercedes-Benz has been multiplying its model lineup, especially in the compact car segment. Recently, we were given the all-new A-Class – both in sedan and hatchback form –, then came its AMG variant, the A 35. Last week, our journalist Antoine Joubert was flying to Germany to drive the all-new CLA, the company’s compact “four-door coupe.” Inevitably, there had to be an AMG version, right? Here it is, the 2020 CLA 35. Also: The Mercedes-AMG A 35 is Confirmed for Canada! 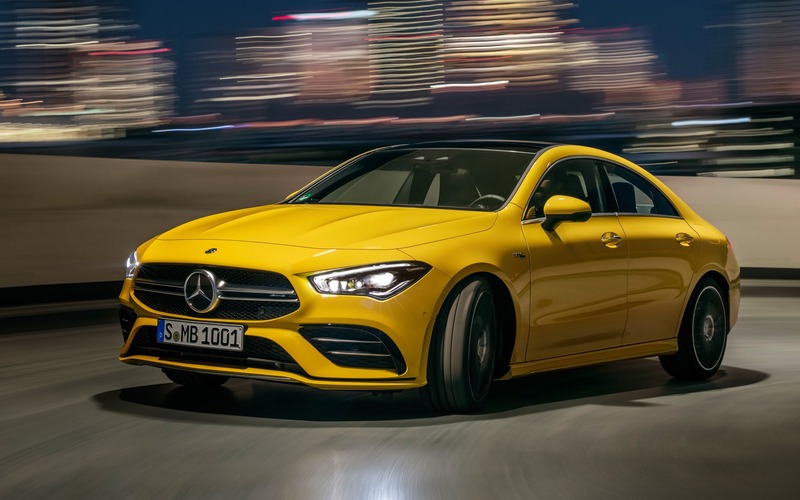 Painted in the same yellow hue as its sister, the CLA 35 is an in-your-face and gorgeous automobile due to its coupe-like design and bulging haunches. 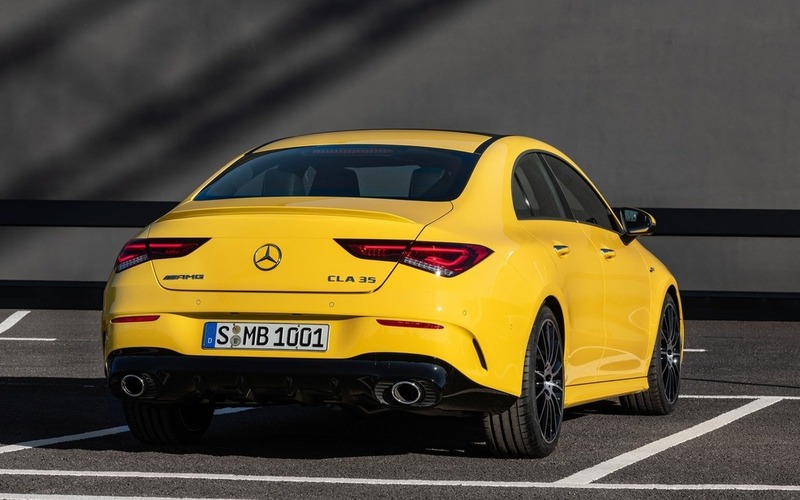 Essentially, the CLA sits on the same platform as the A-Class, so it’s not surprising that it shares most of its mechanical components with that car. Like its little sister, it’s powered by a turbocharged 2.0-litre four cylinder good for a claimed 302 horsepower and 295 lb.-ft. of torque. 4MATIC all-wheel drive comes standard, as well as a seven-speed dual-clutch automatic gearbox. Like the A 35, the CLA 35 will come fitted with an adjustable suspension and exhaust system. Mercedes-Benz also claims that its pocket rocket will come with an all-new drive mode system called AMG DYNAMICS, which will significantly alter the car’s ride and handling according to the driver’s preference. Acceleration from 0 to 100 km/h for this tiny sedan on steroids is rated at 4.9 seconds. No sales price has yet been announced, but the car will be presented at the New York Auto Show next week, with sales beginning towards the end of this year in Canada. With two sport compacts within its lineup, it’ll be interesting to see how Mercedes-Benz plans on marketing them. One thing’s for certain, the arrival of a new performance-oriented sedan from Germany is always good news.